President Recep Tayyip Erdogan also said that Turkey would prepare to trade with its key partners in local currencies so that it and its allies would not be dependent on the dollar. 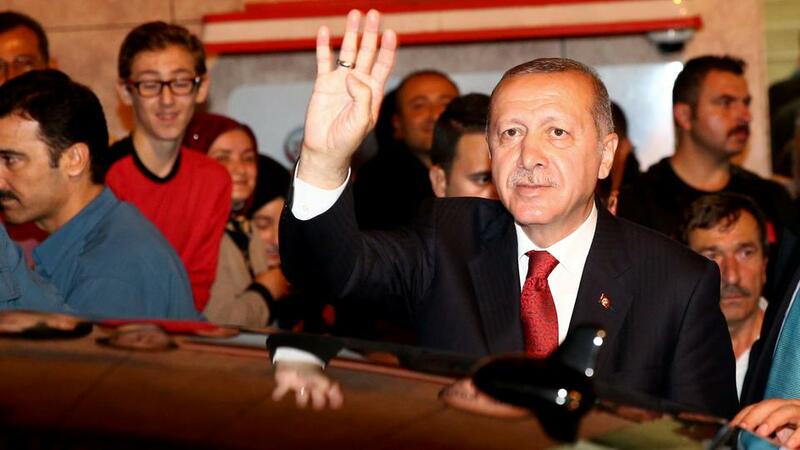 Turkish President Recep Tayyip Erdogan has rejected “threatening language” of the US administration. “They are threatening us. You cannot bring [Turkish] people to their knees by using a threatening language. We are knowledgeable with justice and law,” Erdogan said in his address in the Black Sea province of Ordu on Saturday. Erdogan’s remarks came a day after US President Donald Trump ramped up his attack on Turkey by doubling US tariffs on Turkish aluminum and steel imports to 20 percent and 50 percent, respectively. Turkey and the US are currently experiencing rocky relations following Washington’s imposition of sanctions on Interior Minister Suleyman Soylu and Justice Minister Abdulhamit Gul for not releasing American Pastor Andrew Brunson, who faces terrorism charges in Turkey. Later speaking in northeastern Rize province, Erdogan spoke of Turkey’s plans to trade in local currencies with some countries. Turkey is also ready to establish a similar system — to not use dollar in trade — with European countries, Erdogan noted. We look the issue straining relations between the US and Turkey. Turkey will “never accept the order, which declares war against the whole world,” through the threats of sanctions, he said, referring to the U.S. Without naming any country, Erdogan said that those — who stand against Turkey for the sake of small calculations — would pay the price. Meanwhile, Erdogan visited the Unye district, Ordu, which was affected by heavy rainfalls since Wednesday afternoon that caused landslides and flooding.